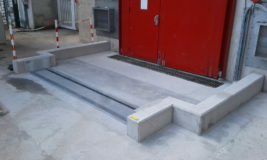 The FloodBreak® Slimline Vehicle Gate is designed for low level flooding where less than 2′ flood protection is desired. 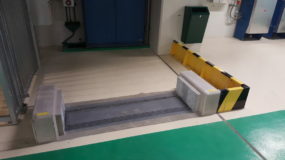 Originally designed for EDF to protect nuclear power plants in France, the Slimline model met the requirement for a passive automatic flood barrier with a shallow installation footprint that could support HS-20 vehicular loads. 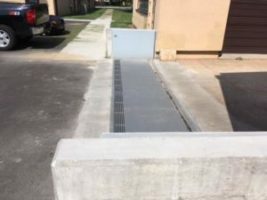 The ability to automatically protect against flash flooding without human intervention or mechanical assistance has made the Slimline flood barrier a popular design for driveways and below grade garages susceptible to street flooding. 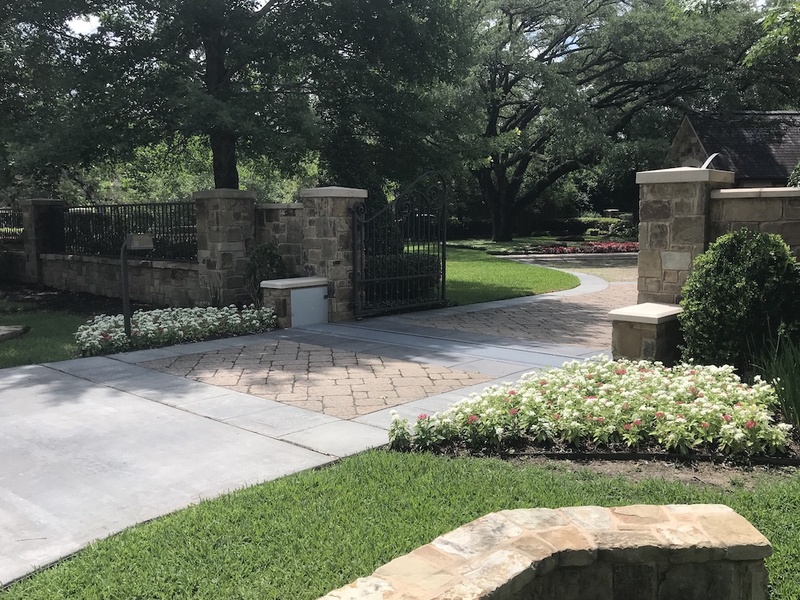 Just like the standard FloodBreak Automatic Floodgates that have been protecting customers for over a decade, the Slimline Vehicle Gate deploys automatically without human intervention or power. 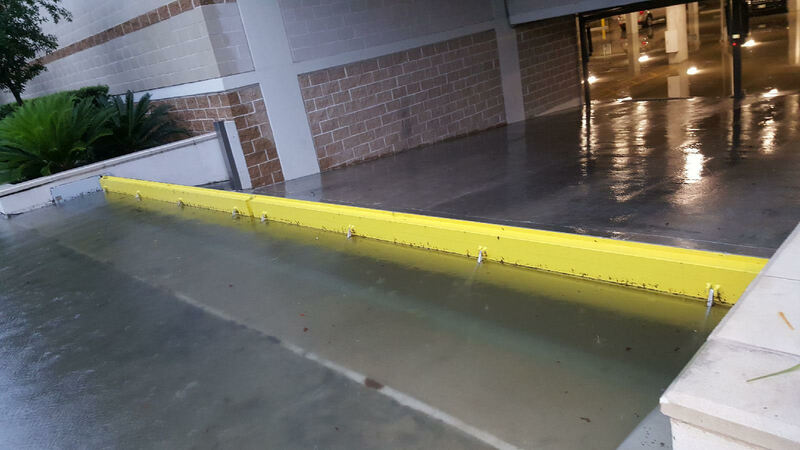 A Slimline Vehicle Gate installed in Houston after the Tax Day 2016 flood, deployed to prevent floodwater from entering the below grade garage when Hurricane Harvey hit Houston. 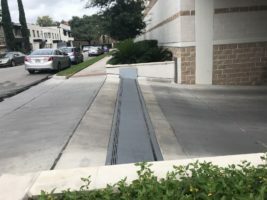 Read more about FloodBreak automatic floodgates protecting customer assets during Hurricane Harvey.